An Inquiry into the Nature and Causes of the Wealth of Nations, generally referred to by its shortened title The Wealth of Nations, is the magnum opus of the Scottish economist and moral philosopher Adam Smith. 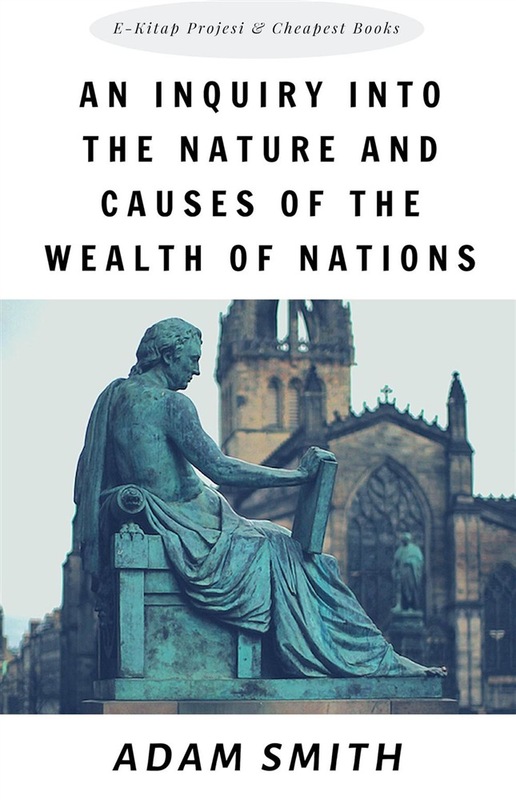 First published in 1776, the book offers one of the world's first collected descriptions of what builds nations' wealth, and is today a fundamental work in classical economics. By reflecting upon the economics at the beginning of the Industrial Revolution, the book touches upon such broad topics as the division of labour, productivity, and free markets. The Wealth of Nations was published 9 March 1776, during the Scottish Enlightenment and the Scottish Agricultural Revolution. It influenced several authors and economists, such as Karl Marx, as well as governments and organisations, setting the terms for economic debate and discussion for the next century and a half. For example, Alexander Hamilton was influenced in part by The Wealth of Nations to write his Report on Manufactures, in which he argued against many of Smith's policies. Hamilton based much of this report on the ideas of Jean-Baptiste Colbert, and it was, in part, Colbert's ideas that Smith responded to, and criticised, with The Wealth of Nations. Why Adam Smith is important: Adam Smith (1723-1790) was a Scottish philosopher and economist who is best known as the author of An Inquiry into the Nature and Causes of the Wealth Of Nations (1776), one of the most influential books ever written. The old view of economics: In Smith’s day, people saw national wealth in terms of a country’s stock of gold and silver. Importing goods from abroad was seen as damaging because it meant that this wealth must be given up to pay for them; exporting goods was seen as good because these precious metals came back. So countries maintained a vast network of controls to prevent this metal wealth draining out – taxes on imports, subsidies to exporters, and protection for domestic industries. The same protectionism ruled at home too. Cities prevented artisans from other towns moving in to ply their trade; manufacturers and merchants petitioned the king for protective monopolies; labour-saving devices were banned as a threat to existing producers. Acquista An Inquiry into the Nature and Causes of the Wealth of Nations in Epub: dopo aver letto l’ebook An Inquiry into the Nature and Causes of the Wealth of Nations di Adam Smith ti invitiamo a lasciarci una Recensione qui sotto: sarà utile agli utenti che non abbiano ancora letto questo libro e che vogliano avere delle opinioni altrui. L’opinione su di un libro è molto soggettiva e per questo leggere eventuali recensioni negative non ci dovrà frenare dall’acquisto, anzi dovrà spingerci ad acquistare il libro in fretta per poter dire la nostra ed eventualmente smentire quanto commentato da altri, contribuendo ad arricchire più possibile i commenti e dare sempre più spunti di confronto al pubblico online.